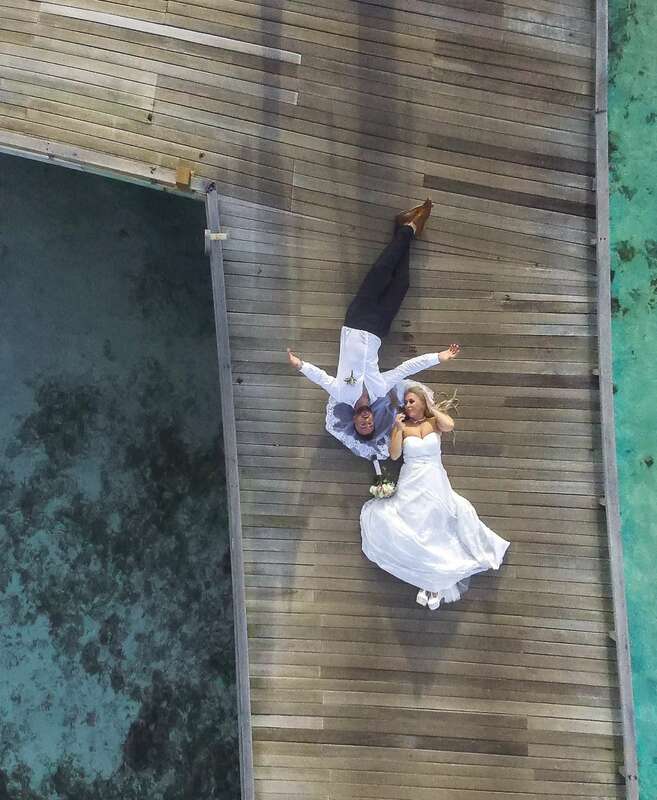 Drone wedding videographer is rising in popularity. 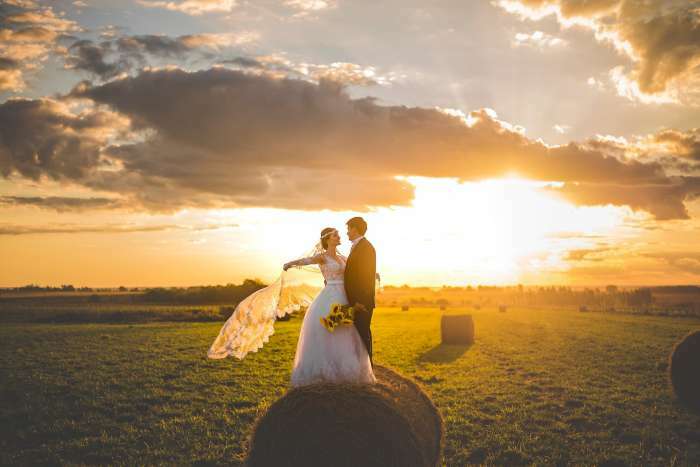 Drones can capture breathtaking shots of your special day. We can supply a drone and pilot to capture your day. However, it’s not as straight-forward as just checking availability. 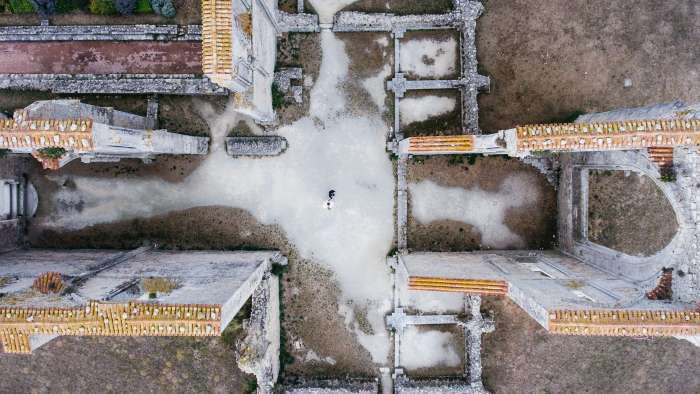 Here’s a quick look at hiring a drone to help you decide whether to include a drone in your wedding package. 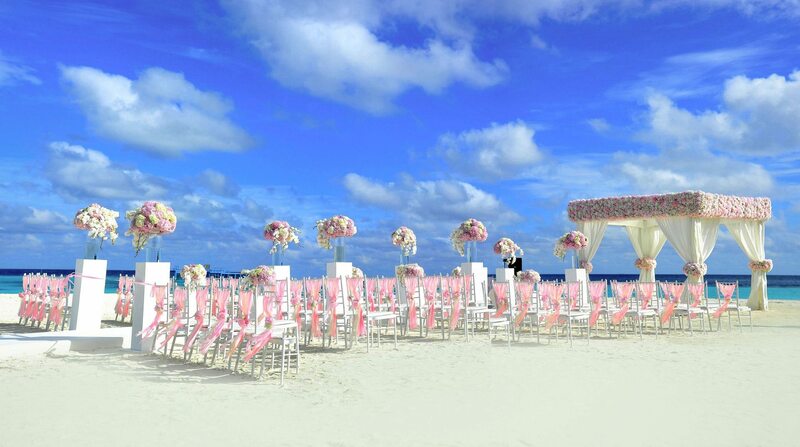 Your safety on the big day is our number one priority. In order to fly safely The CAA (Civil Aviation Authority) has set out rules and regulations that we must adhere to. These include gaining a Permission to Fly for Aerial Work license and UAV (Unmanned Aerial Vehicle) insurance. In all circumstances we have to carry out a pre-flight safety check of the area you wish us to film. Part of the pre flight safety check will include checking the location of your wedding venue. Being next door to an airbase for example would make flying a drone impossible. Inner cities are not great locations either as extra permissions to fly will be required. 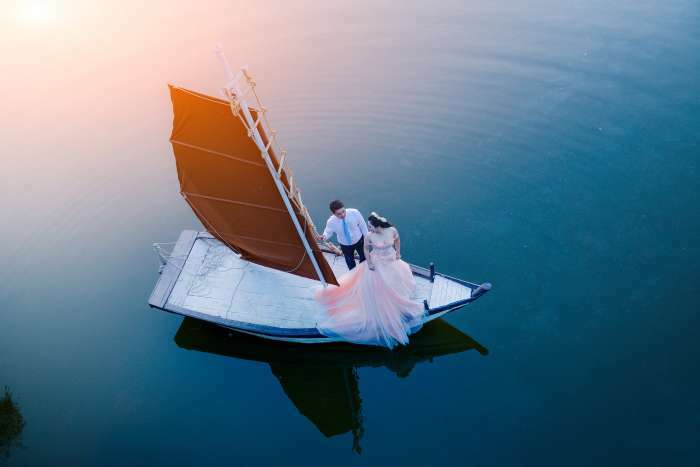 Hopefully your wedding venue will be located in a non-sensitive location, which means you can expect plenty of stunning shots of your wedding. All being well we can fly anywhere as long as we stay within eyesight and under 400ft. Like all wedding photography, drone wedding photography is susceptible to the weather. Heavy rain would ground your drone pretty quickly. However, on the bright side; wind is not as much of a problem as you may first think unless it’s over 20 mph. Now you are well informed with the safety and legal bit. 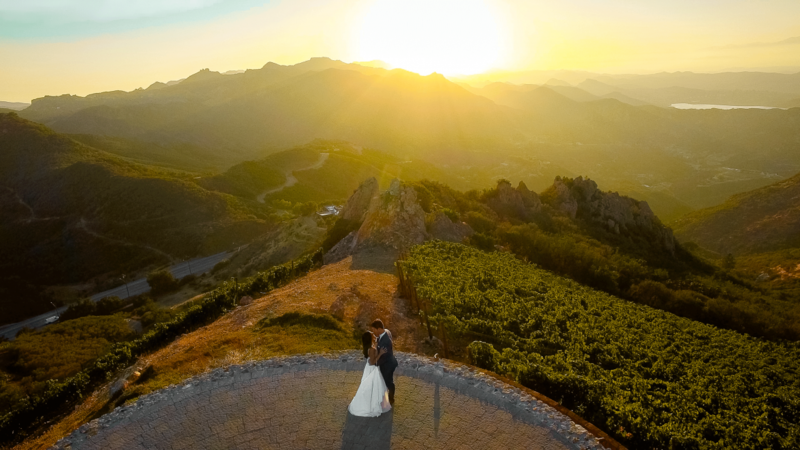 But do not forget why couples hire a wedding drone photographer in the first place- amazing dynamic aerial photos and video that will make your wedding album or wedding video pop! The contrast between the epic grandeur of these shots compared with the more intimate moments is what makes your wedding so spectacular. Booking our services requires a 25% deposit paid upon completion of site survey. If our booking is cancelled by you within 10 working days of booking the deposit will be non-returnable. If the site survey is more than 50 miles from our base a charge of .45 per mile. Ask for Details: info@pegasusvideos.com or use the contact form below. Many couples are now choosing video footage / image capture prior to the “Big-Day” which can be added to the final production of your special day. Others like to upload the video prior to the wedding day to let guest and distant friends know about the special event. Either way we are happy to discuss your needs and the cost is for a single location and 3 hours on site. This will include ground and drone-based video in 4K. We may need to gain permission to fly depending on location and this will be dealt with prior to booking (All we need is the postcode). When you’re just looking for just the essentials to be filmed… available Monday – Friday with the wedding at one venue. Filmed with one trained camera operator using a pro HD camera, your film starts with the guest arrivals through to the speeches (if before meal) … all professionally edited with your selection of music (Please note: music selection will be subject to license agreements costs). Within 10 days of your wedding you will get an online “Just Married” mini-clip..something to share online with family and friends, download the file free to your phone, tablet, computer or share on social media sites. 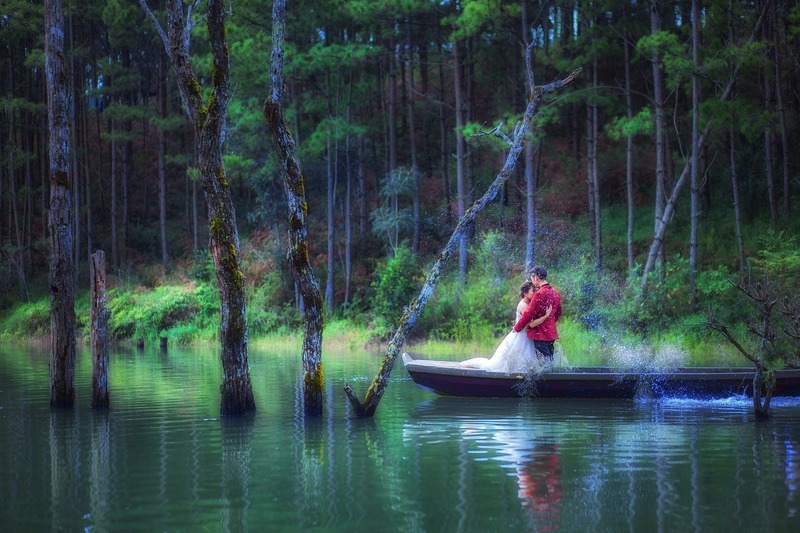 A little teaser of your day and perfect to see a little clip of your wedding day so close after the event. Main Wedding Film.. your full film lasting for around 5 – 15 minutes, beautifully edited with the arrivals, ceremony, photo call and highlights. Your main film is presented as two standard DVD in personalised standard cases. We can also supply USB if requested. Covers a single location shoot (Church or Reception) with ground-based HD video and Drone 4K footage where possible. A Cinematic Highlight Film of your full day set to one song… perfect for showing friends and work colleagues your full wedding on your phone, tablet or computer. Highlighted 15 – 30min video edited and presented on a personalized DVD x 2. We can upload and password protect in the cloud for you to share with friends and family anywhere in the world. If we can gain permission for the church or venue we will gain a fantastic view of your wedding day from above in cinematic style and edited into your special days video. We have qualified commercial drone pilot with the latest technology in aerial video in true 4K. 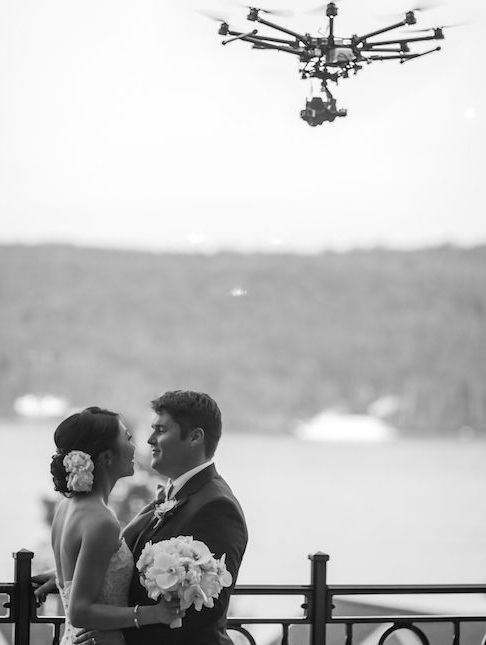 When you are looking for the wow factor in your wedding film… enhanced footage is a must! As with the ‘full package’ but with an additional specialist camera operator. Our trained (UAV) drone pilot will (weather, permissions and flight limitations excepted) work closely with the other camera team to give beautiful aerial film shots of the venue, guests and of course you.. it’s hard to describe how the change in perspective of a video shot can bring an extra dimension to the final film and of course the ‘wow’ factor. In addition the third camera operator will use various other cameras to add dimensions that Hollywood would be proud of..
We will, where possible also gain drone footage of the ceremony and venue, we may ask the bride, groom and immediate family to take part in a “mini-production” if flight permissions are granted by landowner and CAA. 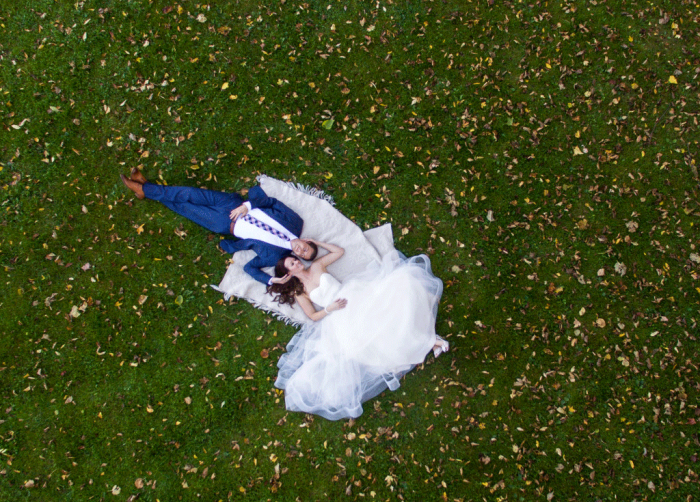 We can also create unique aerial 4K shots of bride and groom from a perspective other cannot, we can chat to you about ideas and show examples to enhance your special day. General video footage of reception on day. Filmed with trained camera operators and various cameras, your film starts with the guest arrivals through to the sixth dance in the evening… together with brief main wedding party comments and a Cinematic Highlight Film.. all professionally edited with your selection of music. Of course, the ceremony, speeches and actual band or music for your dances are recorded in full stereo to make the final edited film a beautiful (minimum) 50-minute tribute to your special day. We understand things may not always run to the time table planned, food may be slightly late, band takes longer to set up and the best man speech goes on way too long. 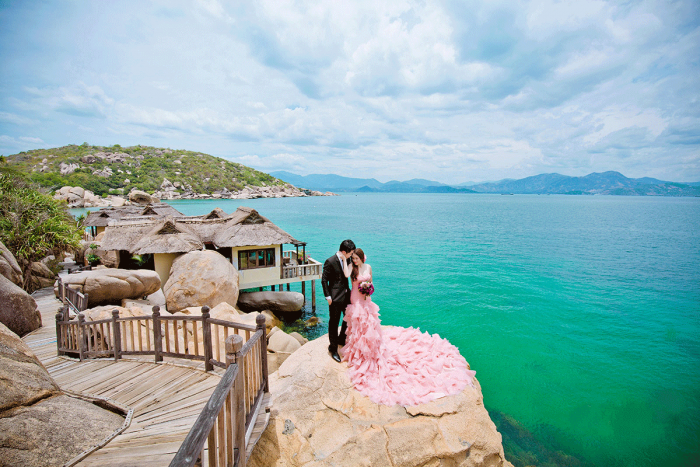 Please don’t worry, we will not go anywhere until we have captured what you need to have your special day recorded. Our “on-site” time will NOT increase just because things are running a little late. All bookings must be secured by a 25% non-refundable deposit. The final balance is payable 5 weeks prior to the wedding, although you have the option to make payments towards the balance at any time prior to the 5-week period. Payments can be made by card payments, cheque, PayPal or cash, no surcharge is made for any of the payment options. So, you have paid for the aerial package and it rains all day, the drone can't safely fly... is it just a waste of money? 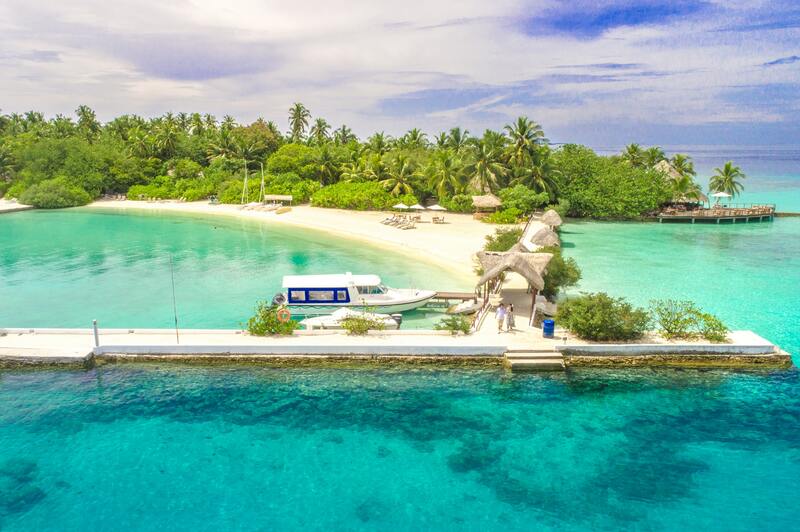 There are various reasons for the drone being unable to fly such as weather, permissions from your venue or Civil Aviation Authority restrictions on No-Fly Zones. 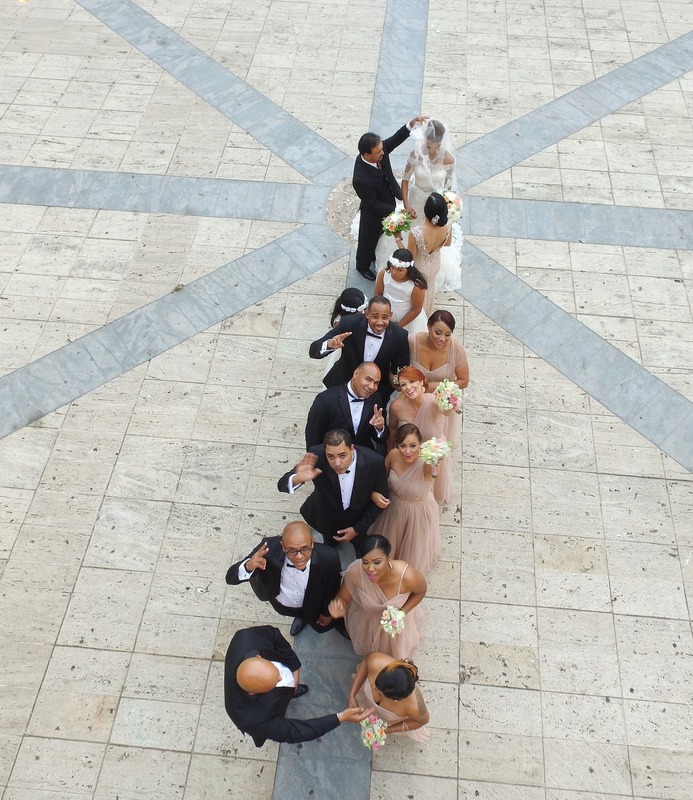 We strive to get the best footage for all our weddings however with a third camera operator he will use various 4k cameras on gimbals and sliders to give fantastic moving shots and footage. Where weather has been an issue he will revisit the venue to film opening aerial sequences for your film to blend in to the final edit.. and of course, throughout the day he will use several other cameras for unusual shots and angles… and he will be on hand should the weather improve. We currently adhere to all UK Drone Legislation and our drone packages are designed around the current Government Legislation, Laws and Civil Aviation Authority guidelines… however we accept that drone technology is constantly evolving and the laws surrounding drones and UAVs may change prior to bookings being fulfilled, therefore in extreme cases to keep within any changes we may need to vary the drone package details to keep within any changes as deemed by the UK Government, CAA or any other official regulator body or institution. If you have any questions about your special day and wish to explore the idea of Hollywood style aerial video please contact us on info@pegasusvideos.com drop us a line with your contact details and we will be happy to chat about making your special day even more of a memorable occasion. In the event of bad weather we will offer a refund of deposit or you can chose to include our venue videography with as a fallback to make sure you get your day captured in UHD. If you have any other questions please fill out the contact form below and we can have a chat about your plans for the big day.